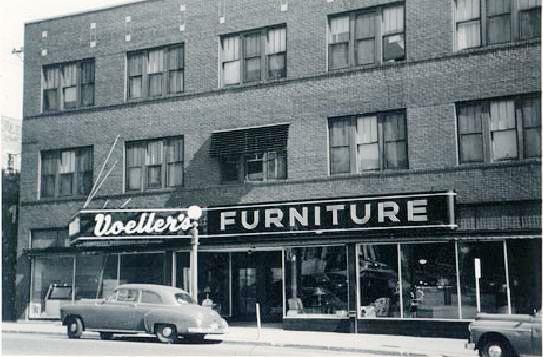 Goldberg’s Furniture – Located at 6 – 8 North Main, on the east side of Main Street. Goldberg’s was open until 9 pm on Monday and Thursday. (Most stores were only open until 9 pm on Thursday. 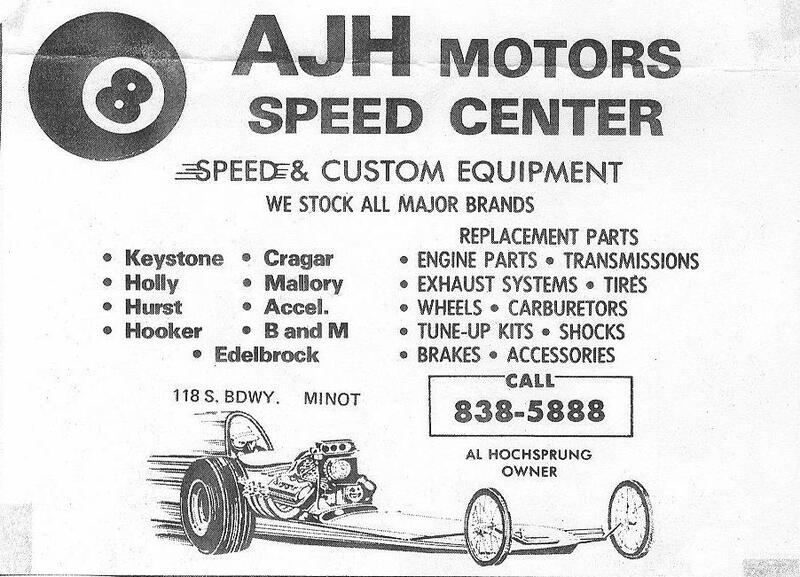 Their telephone number was 20-218 ….. Waterman Motors – Highway 83 South. 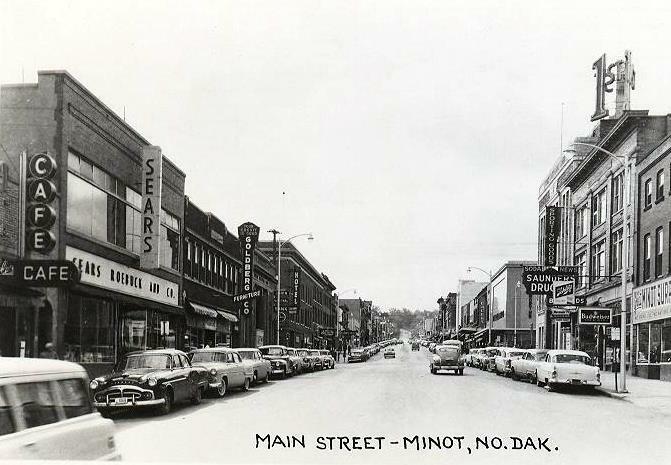 Minot’s Volkswagen Dealer in 1958 ….. George Valker Floral – 216-218 South Main Street. 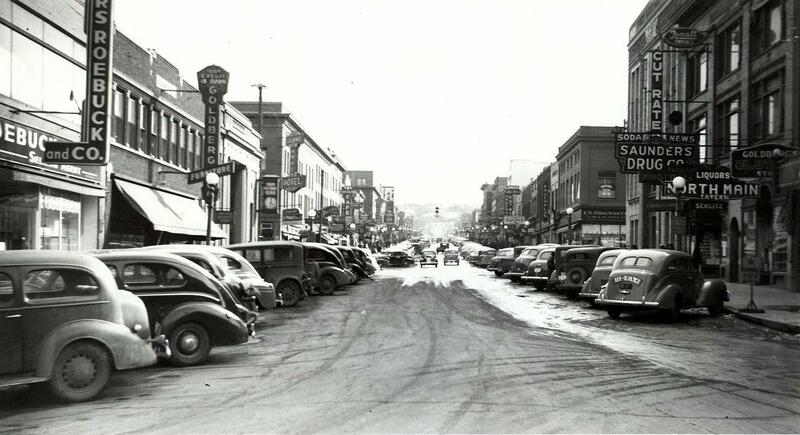 Valker’s was located across from what is now Bray’s on Main Street ….. Bader’s – Ladies wear store located on Main Street. 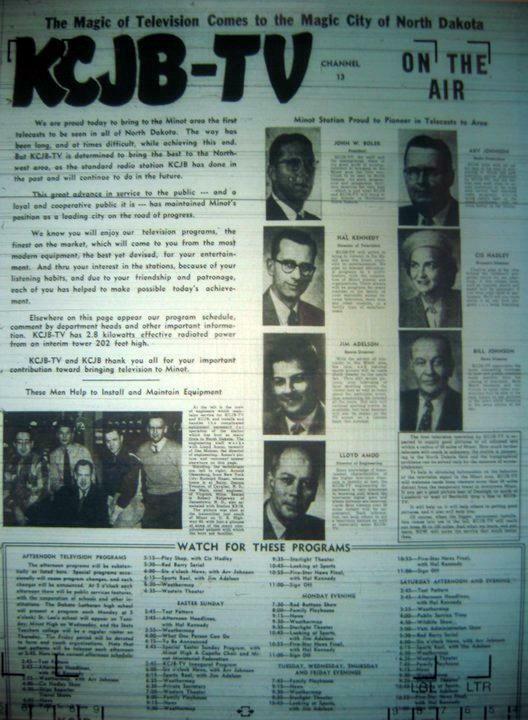 They advertised themselves as being “The Store of Famous Labels” ….. 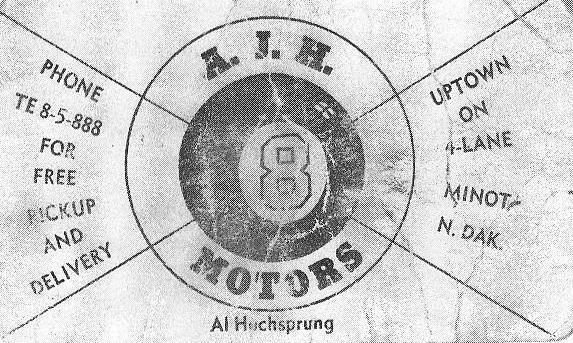 The year is 1903…. A full train loaded with hardware for the Martin Jacobson Hardware store came rolling into Minot. 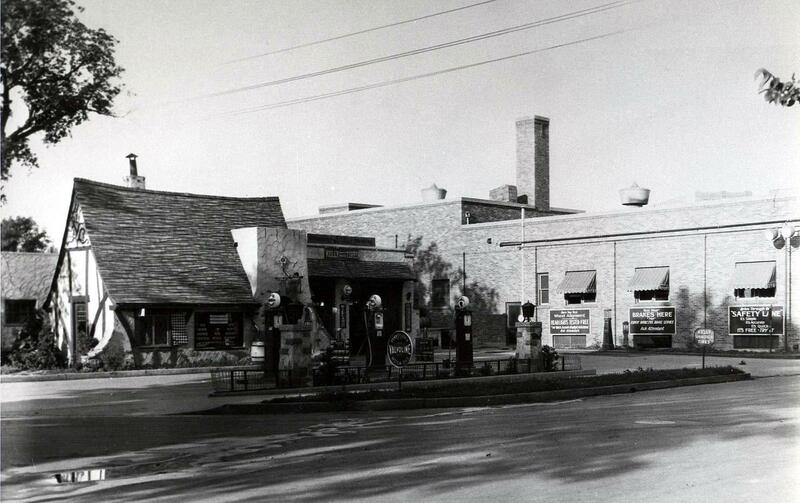 The Hardware store was located on Main Street and central Avenue, now the Taube Art Museum. Hardware and machinery of all kinds were needed. 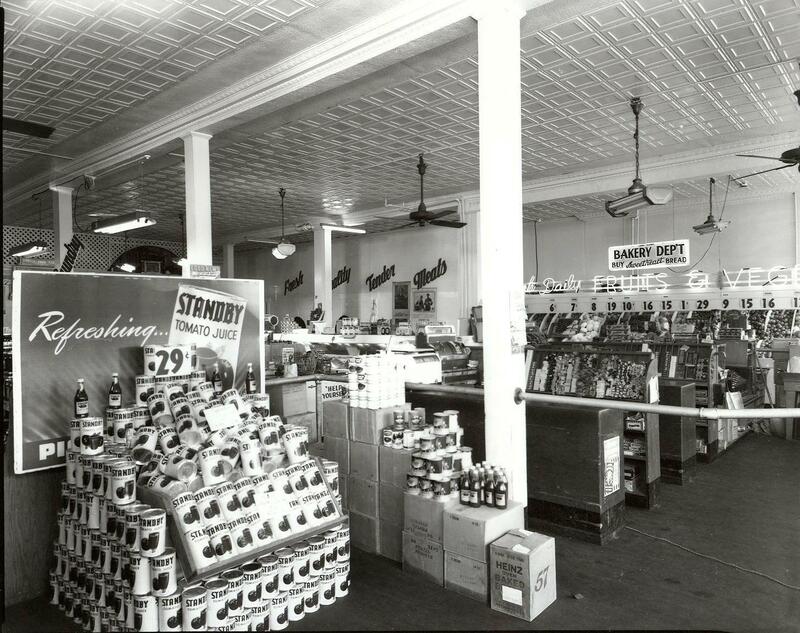 The storage area for the hardware was the basement of the store. Martin Jacobson Hardware had a large room for tach and harness goods…. Reportedly the largest selection west of St. Paul. 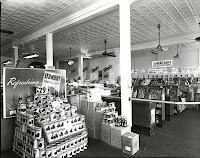 The store also carried Jewel and Universal Stoves, Resort Heaters and Cole Heaters. In 1903, Jacobson’s sold 374,000 pounds of nails. 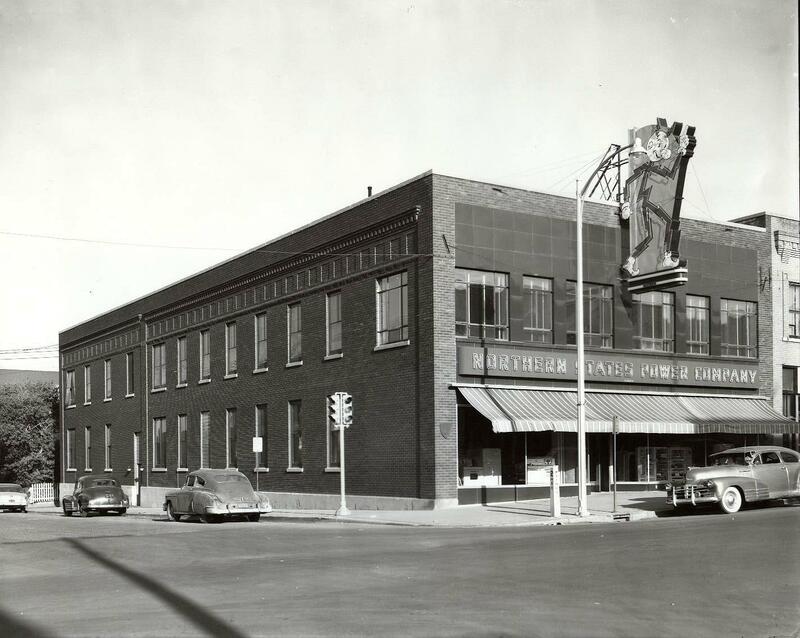 Jacobson Hardware had machinery warehouse with in a city block and also sold Old Hickory Wagons, Thomas Hay Rakes, Milwaukee binders and mowers, Minneapolis Threshers and Canton Plows. 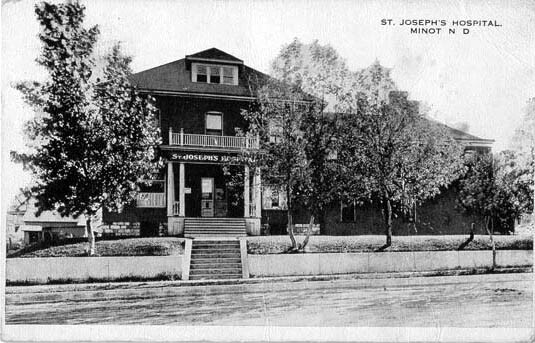 Pictured below: The Jacobson Building. 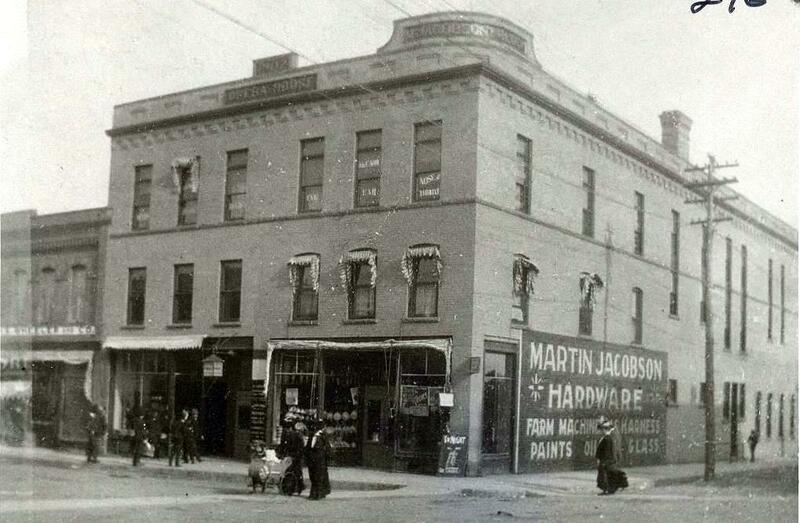 The Opera House was on the top floor -- and also the very first Jacobson Hardware delivery vehicle. Carousel Village – Located at 224 20th Ave SE – across from Kmart ( now the home on Minot Lumber. Carousel Maytag appliances as well as many other brands. …. 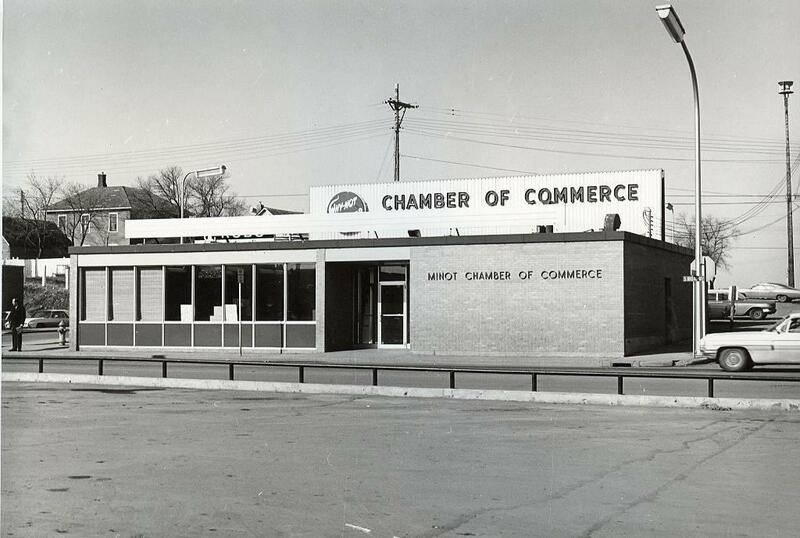 Sebby’s Carpet-area – located at 1839 South Broadway – Carl Sebby started the business in 1946, working out of his garage prior to moving to his location on South Broadway. Sebby’s carried many lines of carpet, vinyl flooring, hardwood floors in addition to wallpaper, window treatments and Eureka vacuum cleaners. 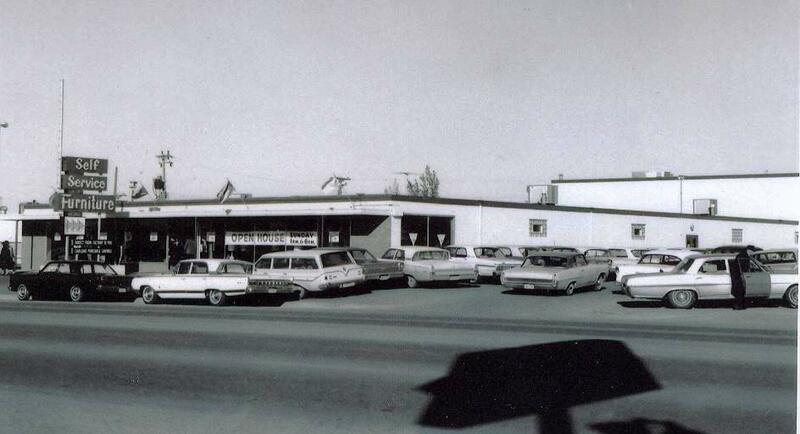 … Rex’s Auto Wreckers – 1200 16th Ave SW claimed to have the most complete line of Late model car and truck used parts. Self Service Furniture is pictured below. Sebbys was to the right, just south of the furniture store. 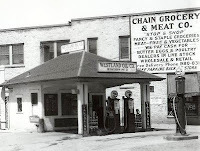 Chain Grocery & Meat Co. 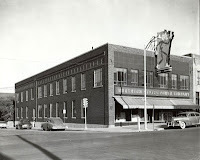 Located at the corner of 2nd Street and 6th Avenue NW. some of the specials featured in a 1920 ad were: Choice Beef steaks – 20 to 28 cents ea. – hamburger – 2 lbs for 35 cents – picnic hams 22 cents lb. – pork chops – 30 cents lb. Grocery specials included 3 boxes of corn flakes for 25 cents – 12 pounds of sugar for $1.00 – ten large cans of milk for 95 cents – 3 pounds of potatoes for 25 cents. 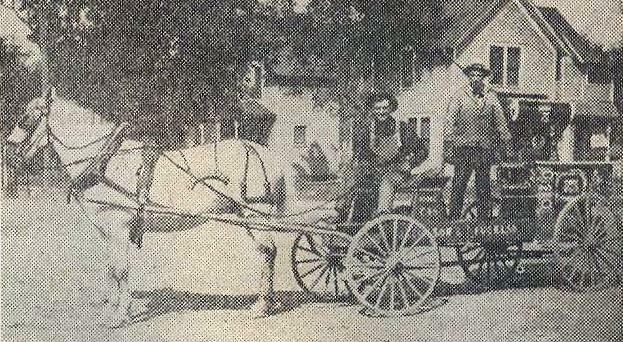 Chain Grocery also delivered to any part of the city and paid cash for butter and eggs. 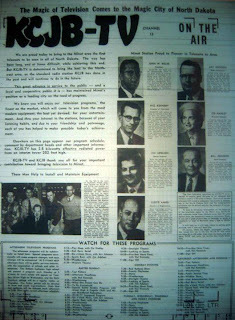 Pictured is a billboard painted on the side of a building and two different pictures of the interior of Chain Grocery. I have no pictures of the exterior. 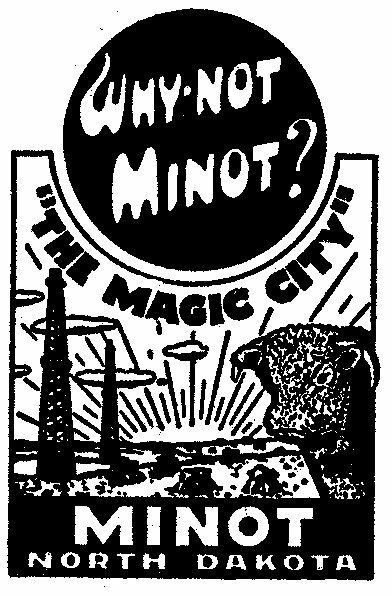 In 1914 the decision was made to open a zoo in Minot. The Park Board decided to purchase two buffalo from South Dakota, a bull and a cow, at a cost of about $600.00. Five acres was to be fenced for the buffalo. Reports stated that a Menagerie will be started in the area. Some of the animals will be coyotes, foxes, bears and raccoons. A monkey cage will be added and the park already has a number of squirrels in the park, however, boys are shooting the squirrels. Fines and jail terms were to levied on anyone carrying guns in the parks. $1.00 to $19.00 and 1 to 15 days in jail. 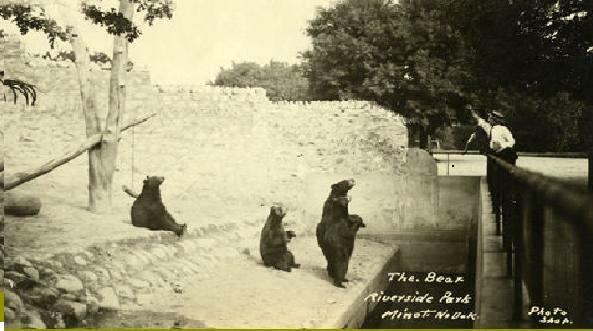 Pictured below are scenes of the original Minot Bear Castle. 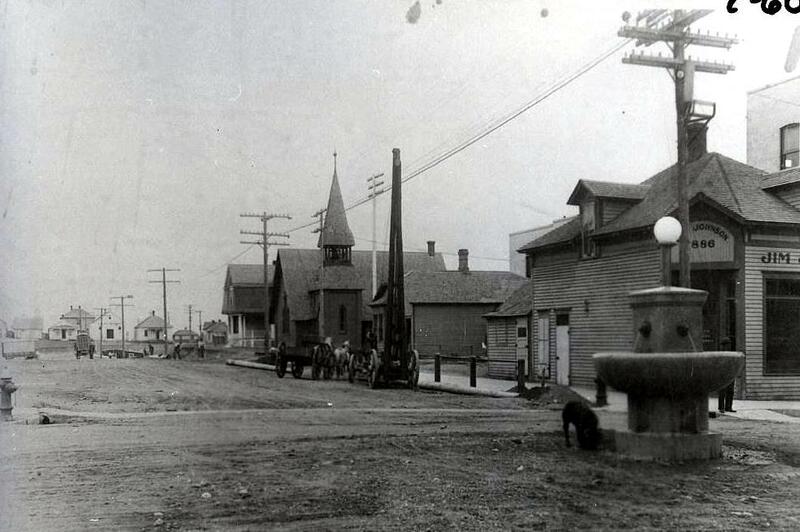 Pictured below is 2nd Avenue in Downtwon Minot looking west from Main Street in 1912. 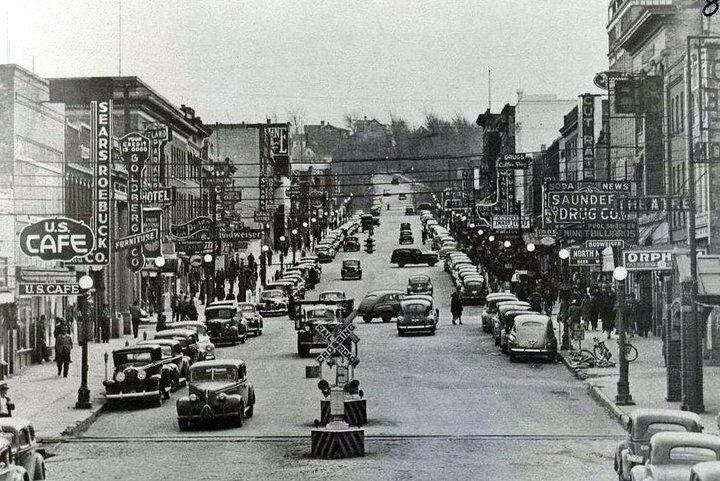 The fountain was at that intersection for many years and is now back on Main Street at the corner of 1st Avenue and Main Street. 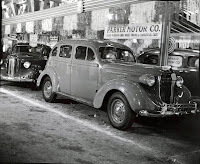 Truck Assembly Line – In May of 1927 the Ford Motor Company stopped production of the Model T Truck to retool their plants for the new Model A. The conversion was going to be a 2 year process. 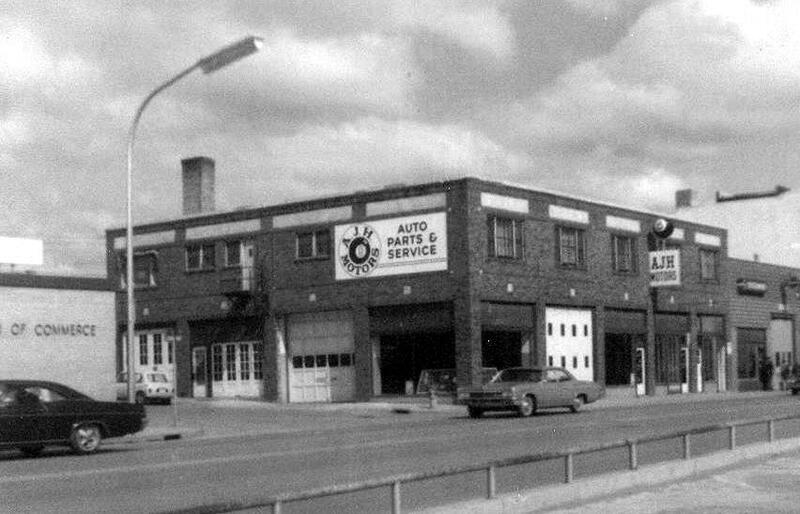 During that time, Westlie Motors set up an assembly line on the top floor of its business here in Minot. 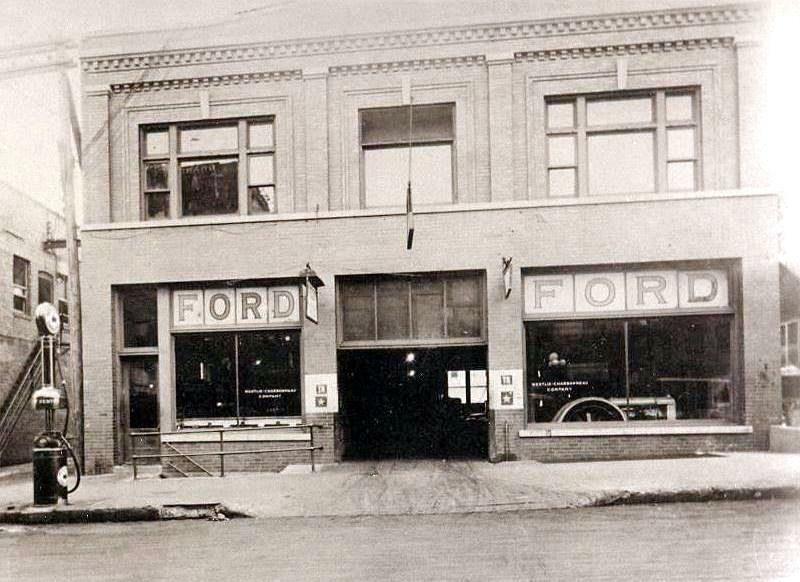 The parts were ordered directly from Ford Motor Company. 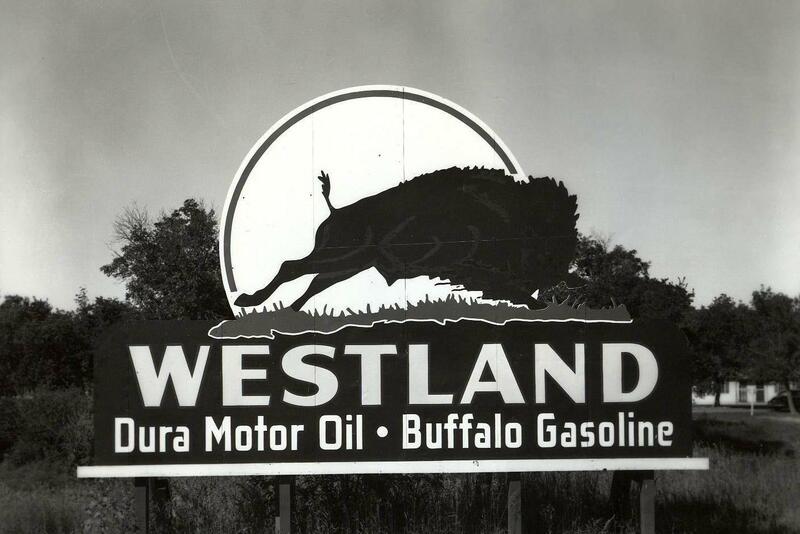 Westlie Motors was the only dealer in the country to do this. 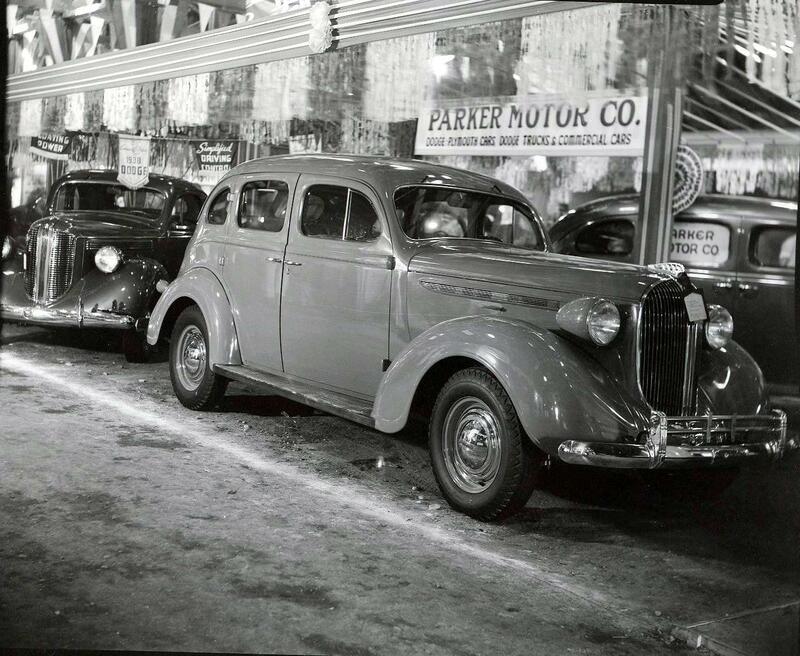 In the fall of 1927, 38 trucks rolled off the assembly line. 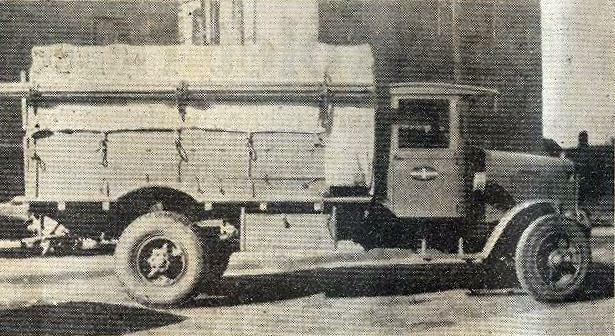 In 1928, 50 trucks were assembled. 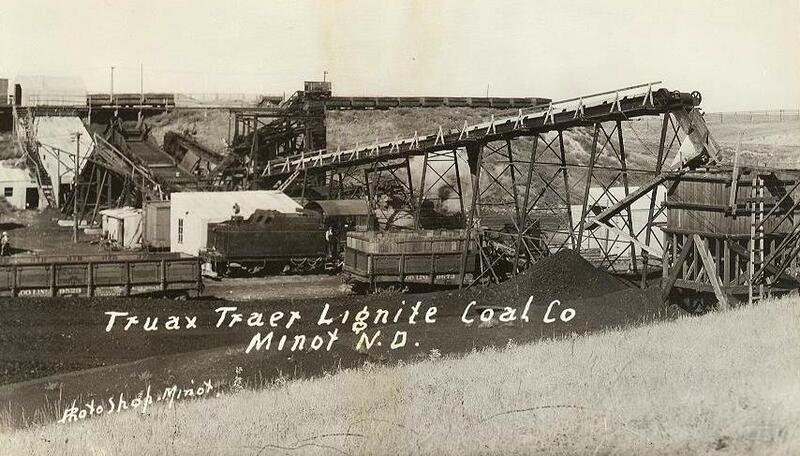 When the Model A trucks came out in late 1928, the demand for the Model T ceased as did Minot’s first and only automobile assembly line . 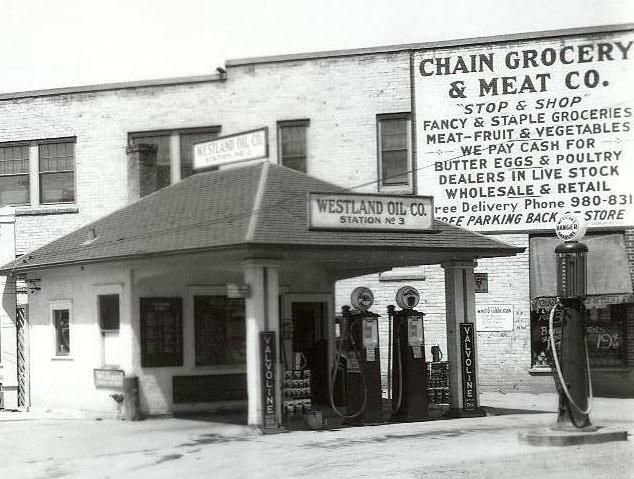 Shown below - Westlies original store on Central Avenue - note the gas pump on the street. 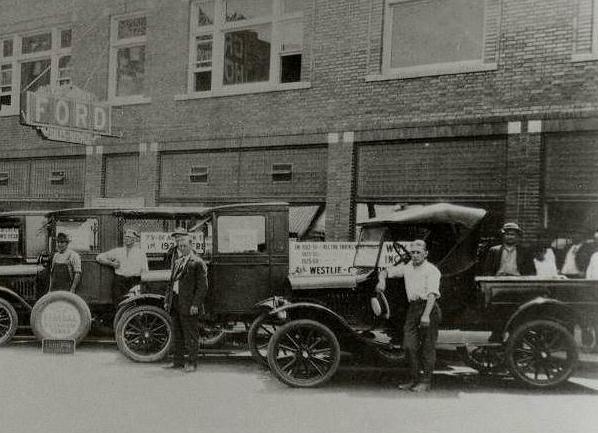 The second picture is of the new car line-up on the in front of building. 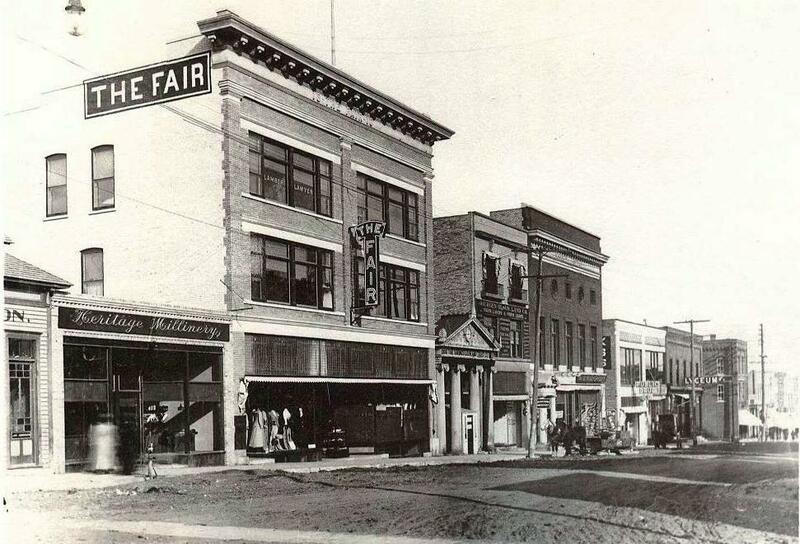 The first Fair Store was opened in Minot in 1902 on Main Street, in a location next to and south of what is now Western paint. 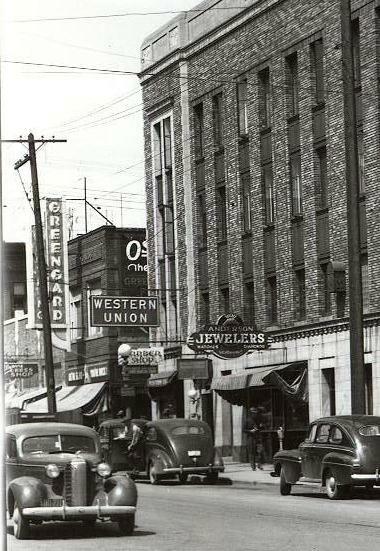 It was like most stores of the time with a 25 foot frontage. 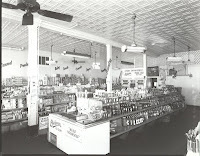 In 1910 the Ellisons moved the store a block south into a new building known as The Fair Block, just south of the intersection of Main Street and 2nd Avenue. 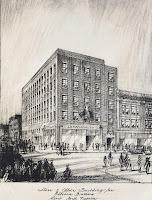 In 1929 a newer building was added at the corner and adjacent to The Fair Block. The new building, a large 2 story building with a basement eventually incorporated The Fair Block in 1955 giving Ellisons a 100 foot store front on Main Street. 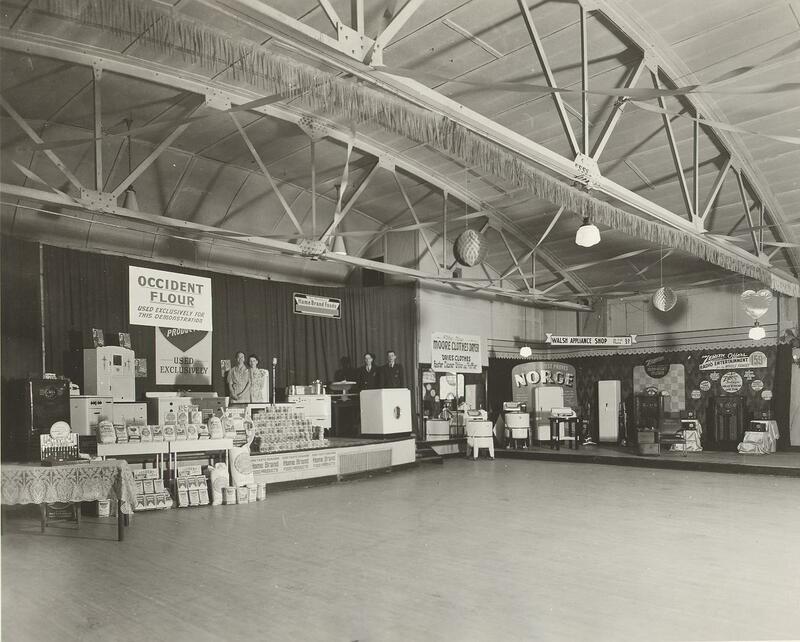 During the Diamond Jubilee in 1961, Ellisons ran a contest to see who could bring in the oldest sales slip showing merchandise purchased at the store. The winner received a wool blanket…. Unfortunately I do not know who won or how old the receipt was. 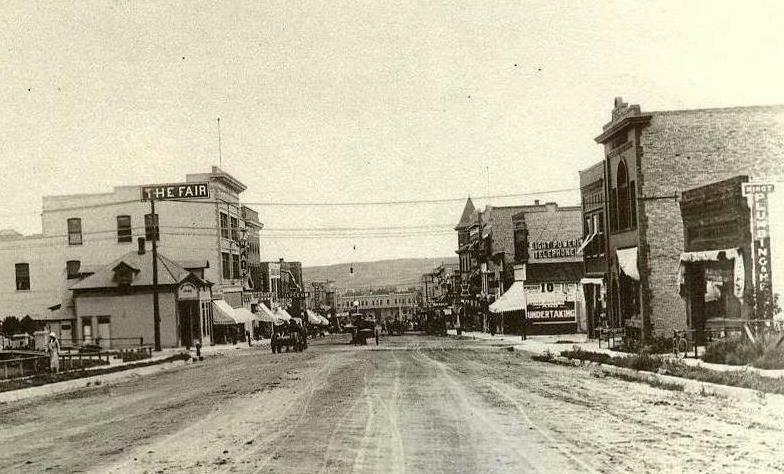 Pictured below: two early views of The Fair Store about 1910. The 3rd picture is the original concept for the Ellison Store. 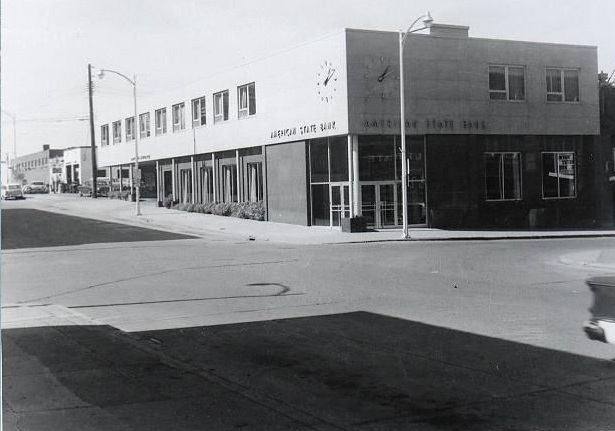 It was to be 5 stories with offices on the top floors. 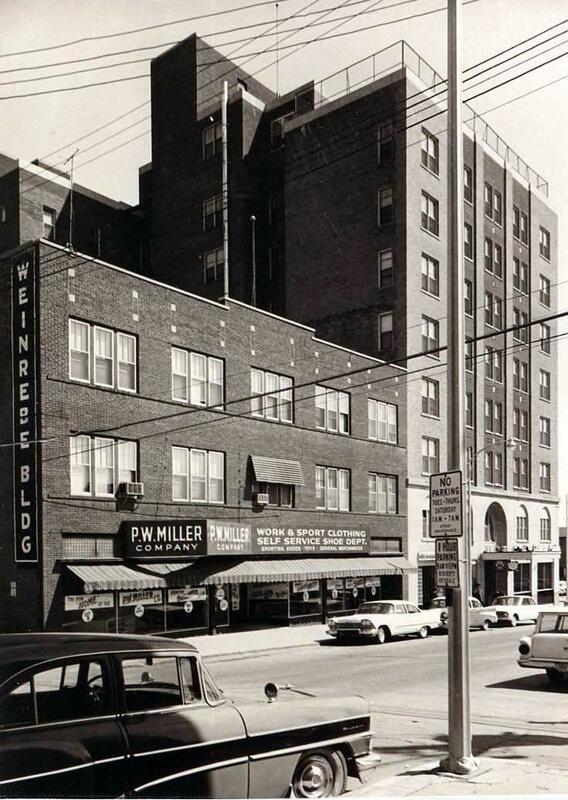 When construction began on the Valker-Christianson office complex, (which was never completed until 20+ years later when Clarence Parker bought it and it became the Clarence Parker Hotel), the top two floors were never added. 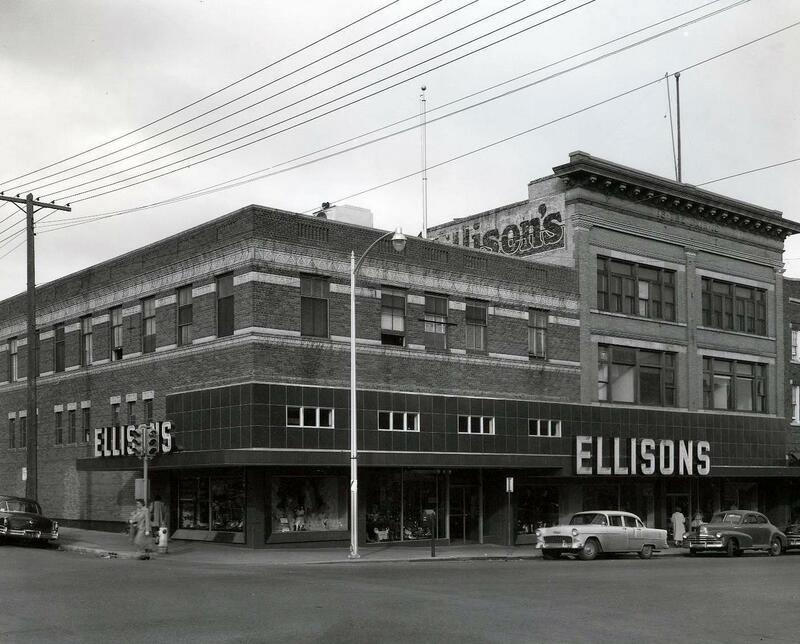 The last picture shows Ellisons in the 50's. 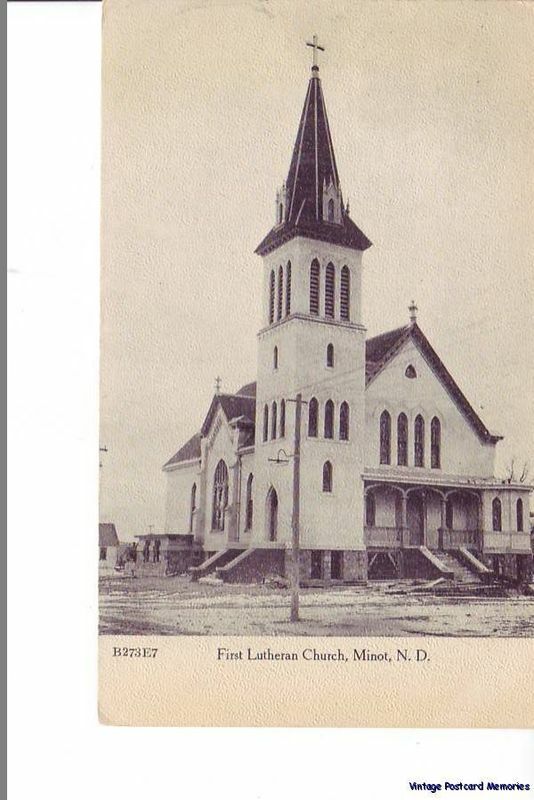 First Lutheran Church – The first pastor was Rev Torjus Reishus who preched his first sermon in Minot on July 4, 1886. 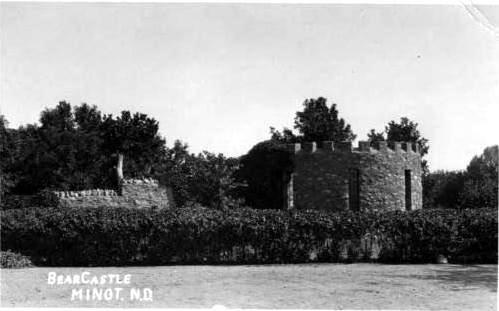 The first services were held at the home of Peder Ramstad which was located in what is now Roosevelt Park. 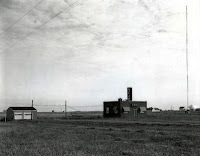 IN 1892 on land donated by Erik Ramstad, the first church was built. It was a brick structure, 28 feet x 50 feet. 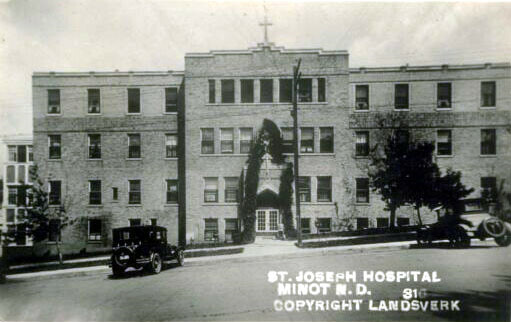 The second and larger church was dedicated on May 5, 1908. The congregation grew and the cornerstone for the present church was laid on July 8, 1951. The Pioneer Memorial Chapel was added in 1956. 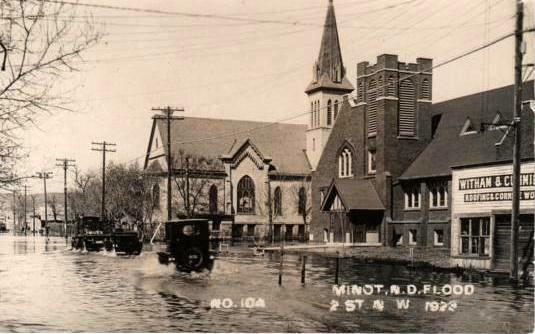 Shown below is the 1st Lutheran Church about 1910 and the second picture is of 2nd St NW (Broadway) in the flood of 1923. You see 1st Lutheran and the Congregational Church.